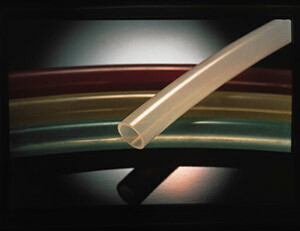 This is a tough, heat-resistant tubing, ideal for the transfer of hot liquids or gases. It is recommended for low pressure systems and uses where higher temperatures and pressures are encountered. It has good compatibility with acids and alkalis. Minimum Bend Radius: ten times tube O.D. 참고: Specifications given are typical and are meant only as a guide. Field testing is required to find the actual operating specifications in a given application.